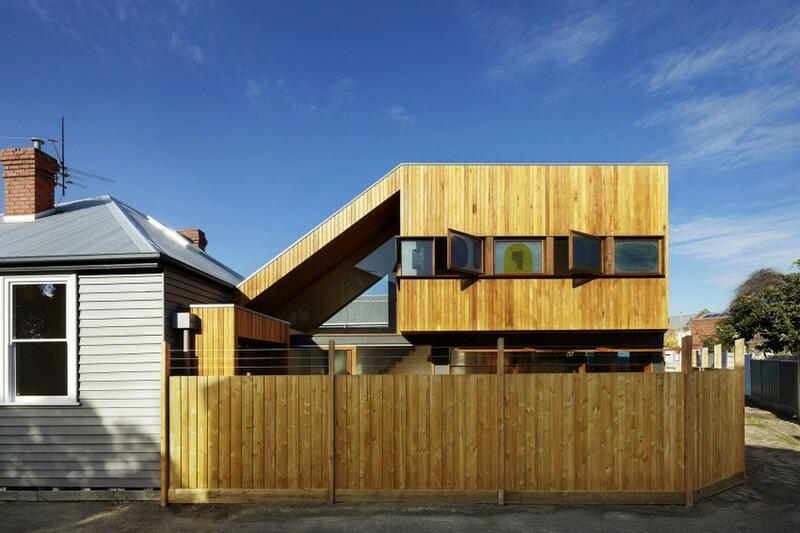 Fenwick Street House by Julie Firkin Architects surprises due to its unconventional architecture and indoor overlapping spatial volumes. 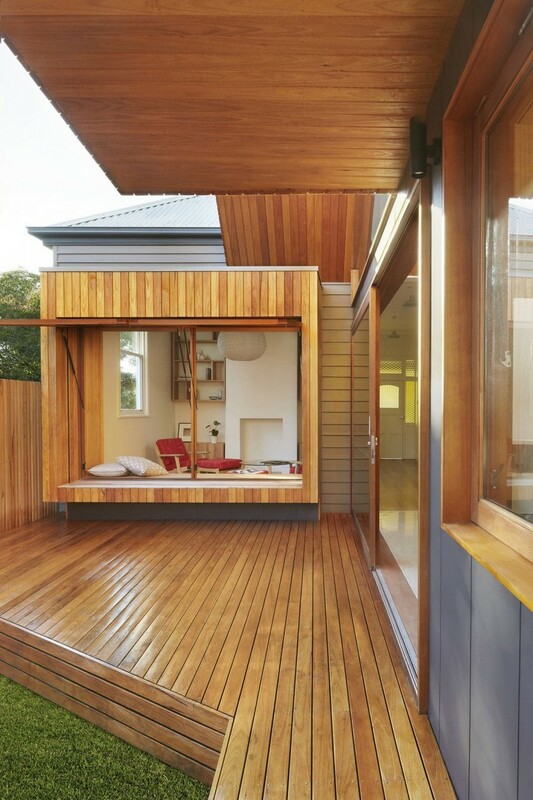 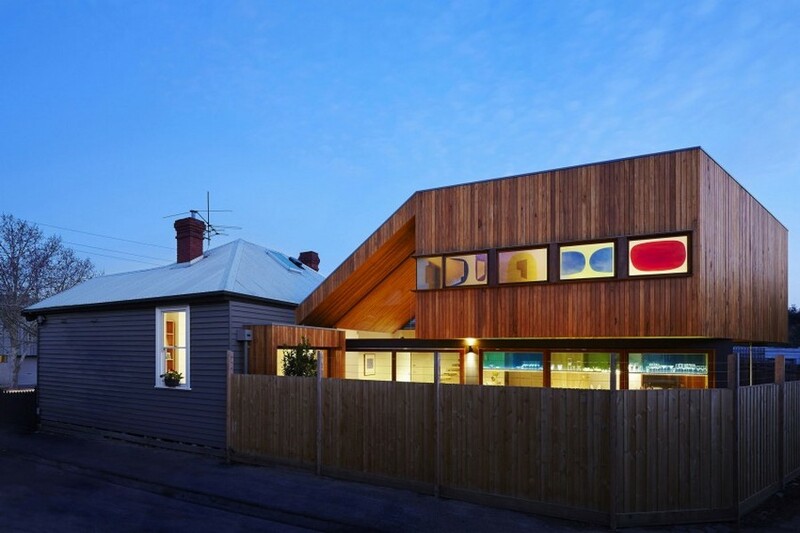 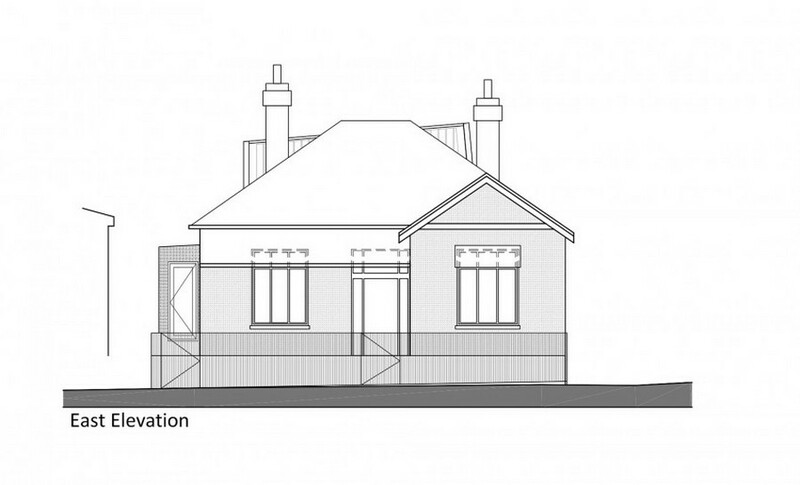 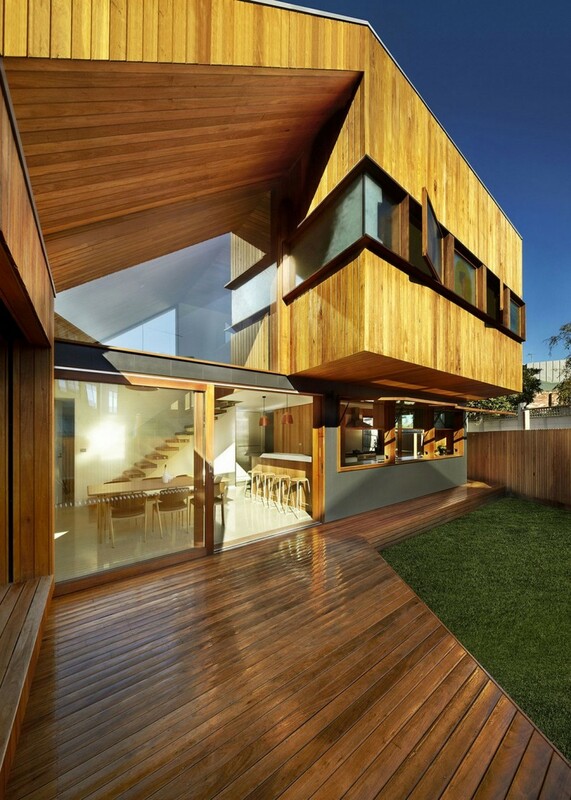 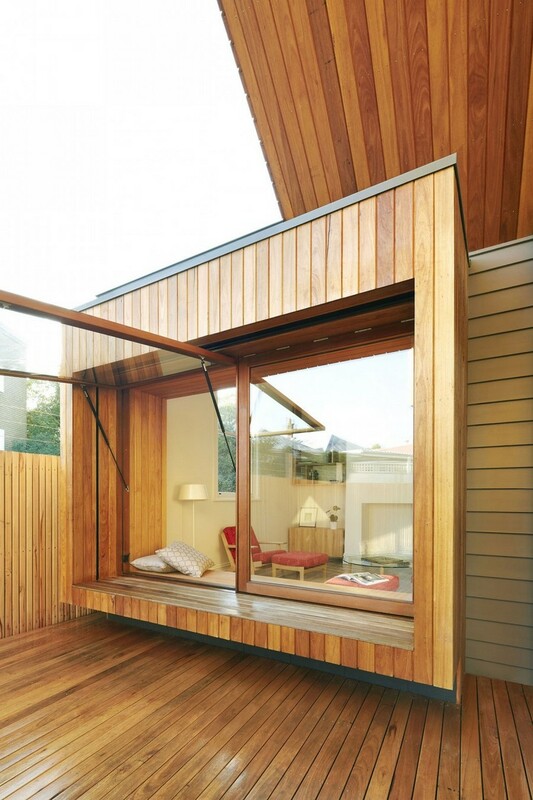 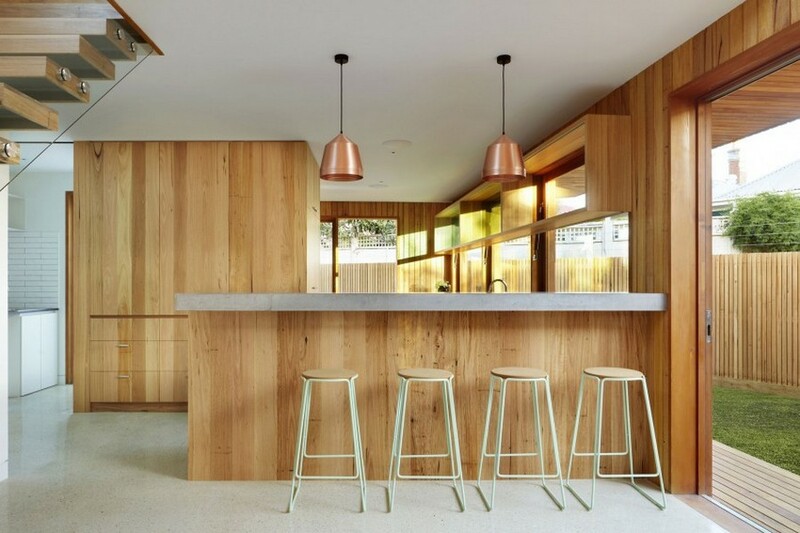 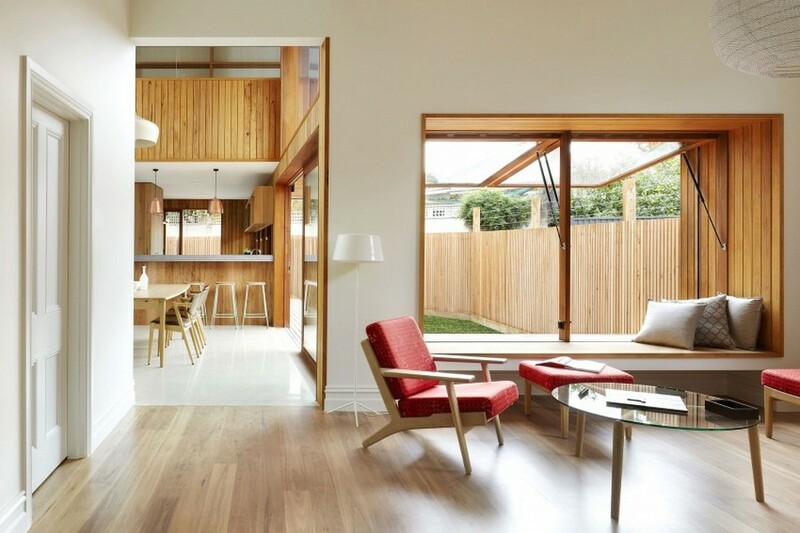 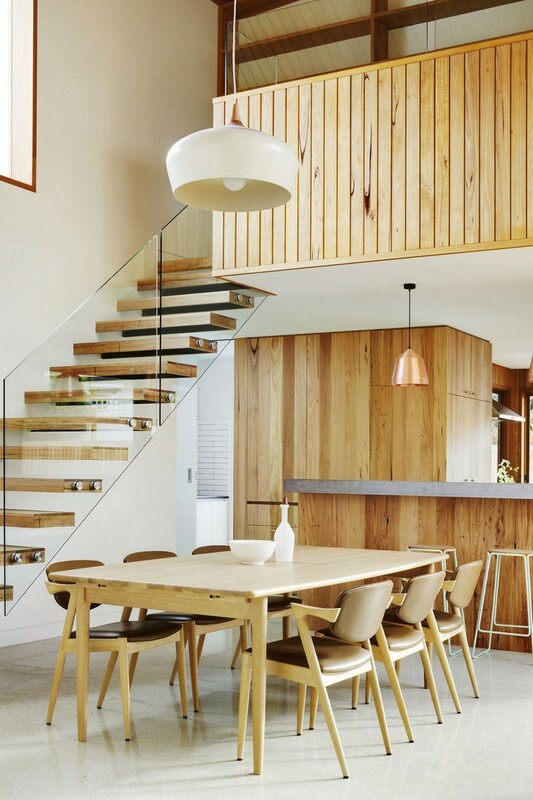 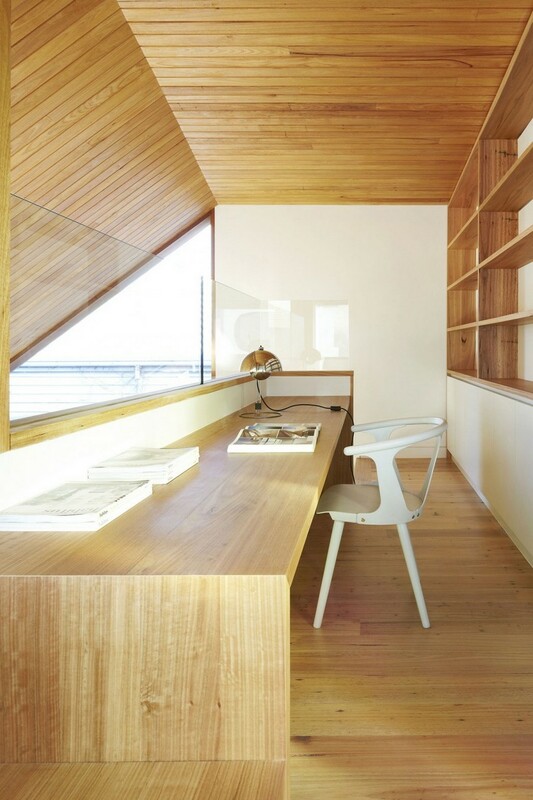 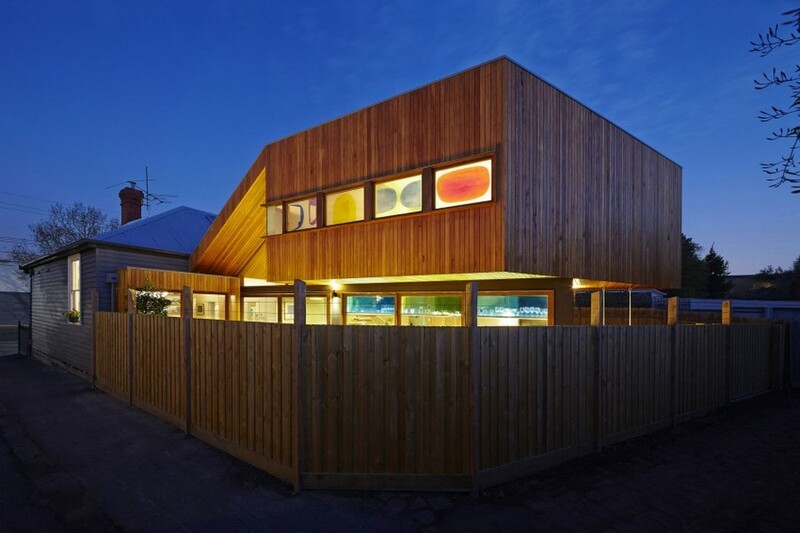 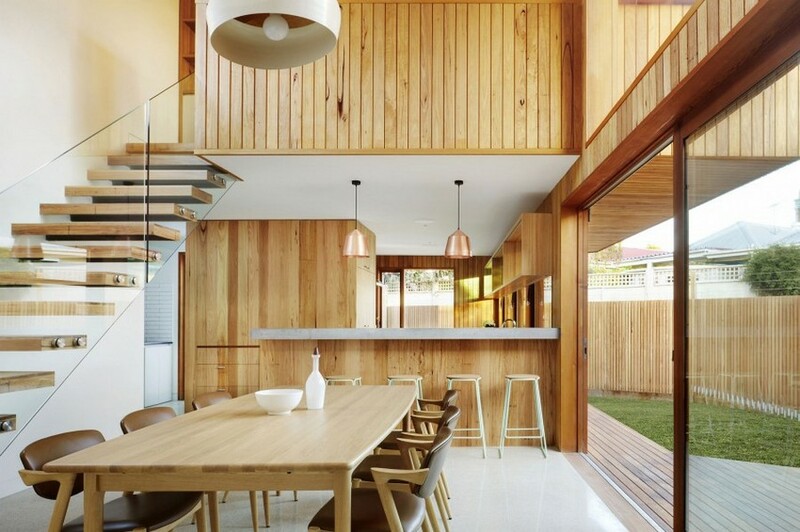 Covering an area of 1,130 square feet, the project in Clifton Hill, Victoria, Australia consists of a wooden addition to the original weatherboard cottage on the site: “This design was developed to maximize the available light and space on an oddly shaped block in the inner suburban setting of Clifton Hill. 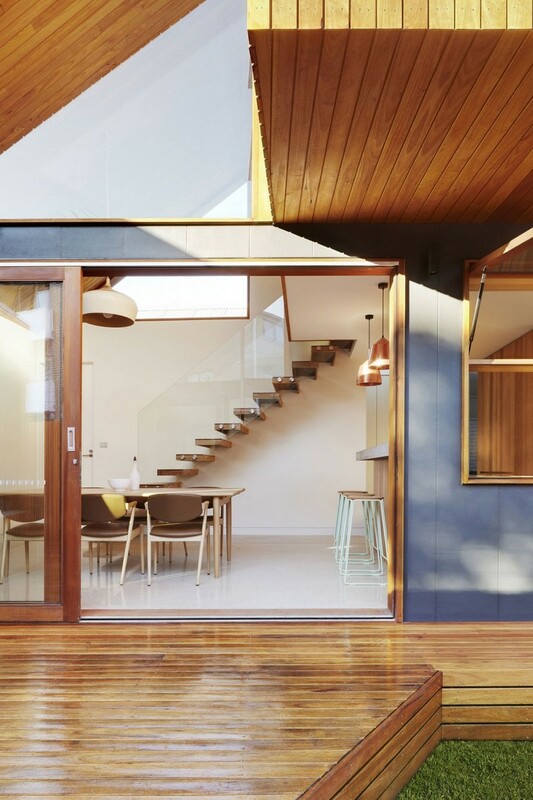 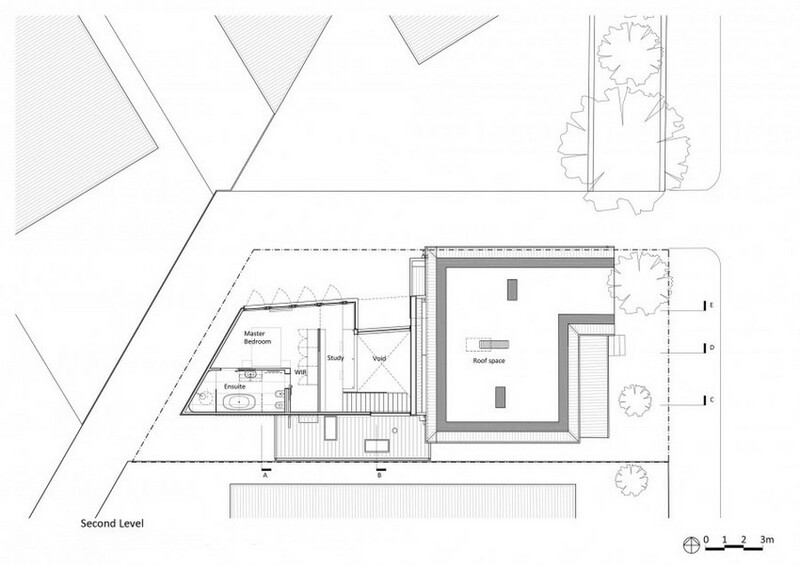 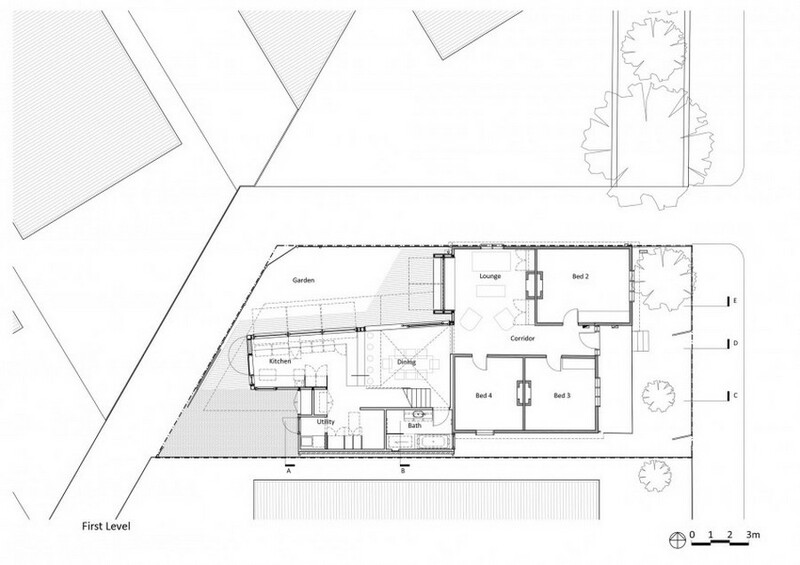 The addition is angular and tapered in form with an overhanging upper level which allows for the living spaces to be drenched in light in winter while providing shade in summer.” The two-level extension accommodates a bedroom suite, dining areas and a new kitchen.